It can spawn in plains, forests, extreme hills, taiga, swamps, birch forests, jungles, cold taiga, mega taiga, roofed forests, and savanna biomes. Usually the rabbit will spawn in a set of three; yet this number may deviate. They have a variety of looks – rabbits may be black, white, yellow, brown, or black and white. All rabbits have pink noses. Rabbits are somewhat sporadic in their movements and attention spans. They have a tendency to jump off cliffs, hop about in a circle, etc. The rabbit is blessed with ten hearts. One warning to farmers – rabbits WILL eat your crops! Wolves love to eat rabbits; so often times a player may see a rabbit hopping quickly away from its predator. 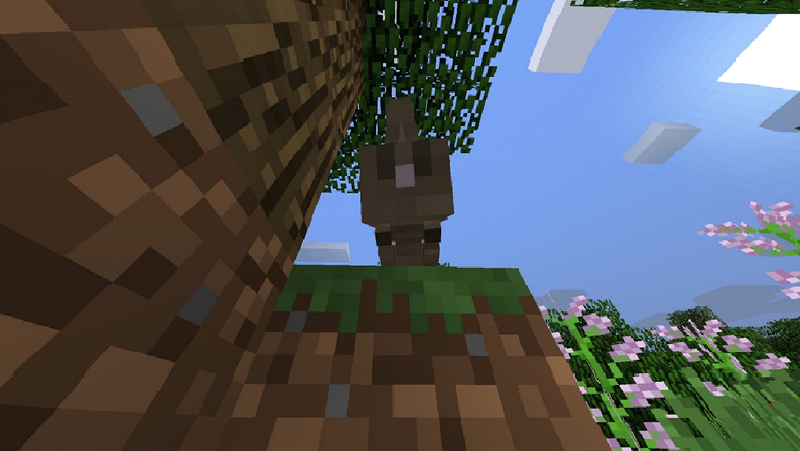 Thankfully the rabbit is a passive mob; it won’t attack anyone. To attract their attention, the player needs to have a dandelion or a carrot handy. This will send them bouncing over to visit! And yes, they can be breed! To breed them, all the player needs to have are two dandelions or two carrots (golden carrots work too). The killer bunny may also be bred using the same methods. Some downsides to the rabbit are its inability to be ridden with the saddle, or milked. Also, nothing the rabbit drops can be used in crafting, aside from its hide. However, in creative mode, a lead will work on them. In addition, there is an Easter egg which allows you to use a name tag on the rabbit. If the rabbit is renamed to “Toast” it will change in appearance. The rabbit will appear to be black and white, along with looking like a “Black Dutch” kind of rabbit. This Easter egg is in honor of xyZenTV’s girlfriend’s rabbit which went missing. Upon being killed, it will most often drop raw rabbit meat. Raw rabbit meat will restore three hunger. Raw rabbit meat can also be applied to wolves – it will tame and heal them. If the meat is cooked when consumed, it will restore five hunger. It may also drop rabbit hide. Rabbit hide may be crafted to create leather. It will take four rabbit hides in order to create one leather, so there isn’t much value in collecting rabbit hide. Whether rabbits drop hide, a foot, or meat, it will usually drop one piece of the item. There is a rare chance of a rabbit dropping a rabbit’s foot when killed. The rabbit foot is an ingredient to create the Mundane Potion and the Potion of Leaping. Despite being a peaceful mob, the rabbit also has another form – the “Killer Bunny”. 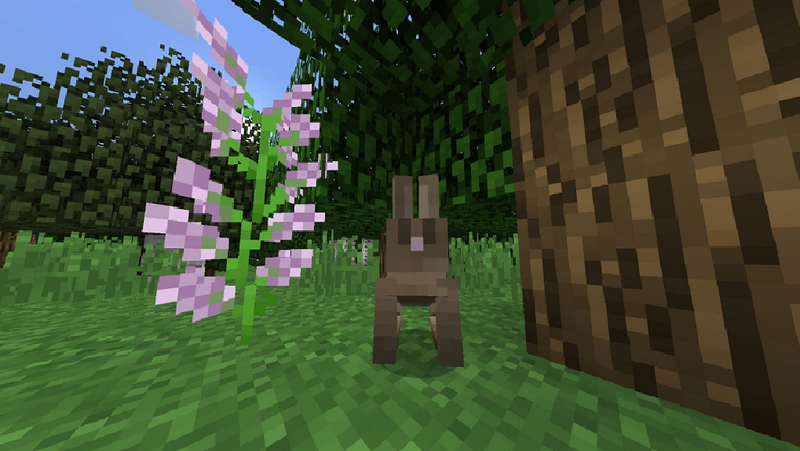 This rabbit has a 1/1000 chance of spawning through console spawning. It will not spawn naturally into the world. If it does spawn, the killer bunny will be on the loose; madly looking for something – or someone – to kill. The killer bunny will attack players. It will also attack wolves. It is stronger than the normal rabbit, having an attack strength of 8 on easy. It is faster, too. It looks different in appearance; being pure white with bulging red eyes and is not very cute. Thankfully, it is quite rare!